There’s more to a ride than fiberglass. 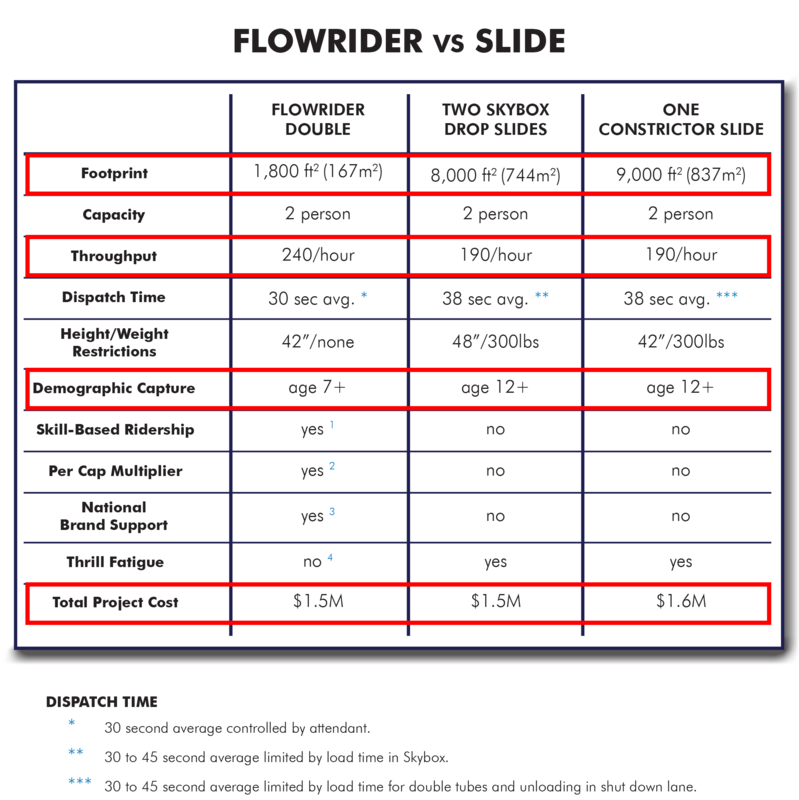 When you compare the world’s #1 surf ride to the specifications of two drop capsules or one bowl ride you can see how within a fourth of the square footage you can have 20% higher throughput and capture a wider demographic for the SAME PROJECT COST. With proven appeal across multiple demographics, this popular skill-based attraction is a proven revenue generator, driving traffic, encouraging repeat visitation, and increasing length of stay at waterparks and resorts nationwide. Learn more about what surf attractions are available and what the FlowRider can do for your property today!